What I wanted to write about here, though, is a few things that I was reminded of when I had dinner at Som Saa recently. The first thing is that, however early you think you’re going to have to turn up in order to bag a table without waiting (no bookings are taken), get there half an hour earlier. I rocked up with Jen at 6.25pm on Thursday evening last week and was told that we’d have to wait around an hour and a half for a (shared) table. Luckily it was one of those warm summer evenings, so it was no hardship to sit at one of the bar tables outside and sink a cocktail each and pick at a bar snack or two (crispy pork belly with chilli-vinegar dipping sauce – yum) and shoot the breeze. The second thing I remembered was how impressive it is when someone steers you towards a cheaper bottle of wine than the one you’d intended to buy because they think it will work better for you. Most front-of-house staff are trained to upsell (that is, to get you to spend more than you’d originally intended). Som Saa’s Tom George knows that upselling may get you the one-off financial hit, but that if you want repeat business you sometimes need to play a long game. I’d gone to the bar fully intending to splash £40 on a bottle of off-dry Anjou Blanc from Pithon-Paillé (a really good, solid producer), but Tom steered me towards Opal Ridge’s Gewurztraminer-Verdelho blend from Australia’s Riverina at £24 instead, saying that he thought it was a brilliant match for Thai flavours. Tom was right. And that’s because of the third thing I remembered that night. A number of years ago I used to cook (and occasionally judge) something called the Sommelier Challenge for the now-defunct Wine Magazine. The idea was that competing sommeliers would be asked to find suitable wines to match a recipe from a recently published cookbook. Once every three months or so, judges would convene at my house in order to try the wines with the dishes. The wines would first be tasted and assessed without food, then with the dish they were meant to match. 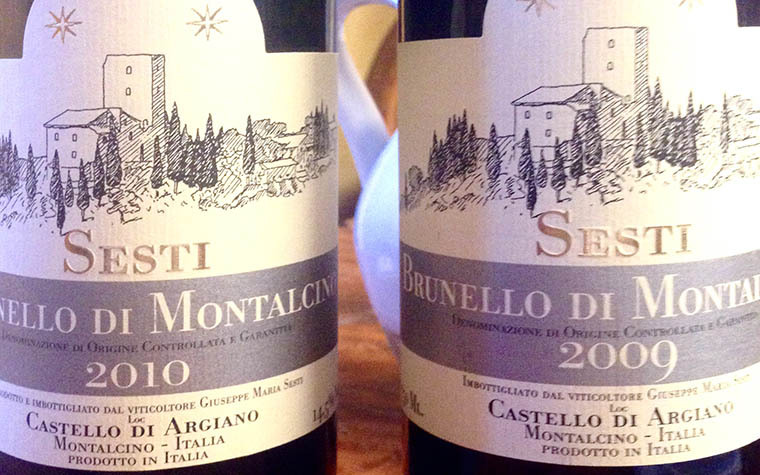 In a surprising number of cases, wines that failed to shine by themselves proved astonishingly complementary to the food. Nuances that had passed unnoticed the first time round shone out, rough edges were smoothed out via the medium of textural alchemy, flaws vanished. And so it was with the Opal Ridge. Tasted by itself, it was a fairly unremarkable wine – although the flavours were pleasant enough, there wasn’t much fruit concentration and little finish to speak of. But although it wasn’t a compelling wine, there were hints that it might well be fit for purpose. Gewurztraminer is a grape that is much touted as a match for spicy food, but its heady aromas of rose petals (unkind people say it often reminds them of heavily scented hand cream) and lychees are allied to a heavy, oily texture and a lack of freshness. 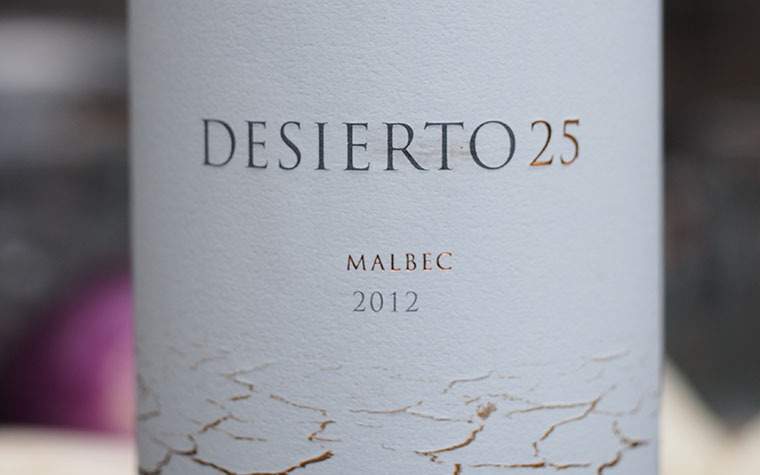 Verdelho, on the other hand, can be incisively acidic. But in this instance, the lack of intensity worked in the wine’s favour – Gewurztraminer’s blowsiness was reined in, and the Verdelho had just the right amount of freshness to balance its partner’s richness. The result was a wine with gently spicy, tropical aromatics that worked happily alongside the exotic flavours of most of the dishes we ate without either overwhelming the taste of the food or being overshadowed in turn. It stood up to the rich sauce of that pork belly curry, but was fresh enough to complement the crispness of the deep-fried fish. Its spicy element came to the fore when paired with the smoky flavours of the char-grilled aubergine salad, and its fruitiness allowed it to cope with the eye-poppingly fiery jaew dipping sauce served with the grilled chicken. Best yet, the lessons I learned (or, to be more accurate, was reminded of) at Som Saa came cheap. We were lucky enough to have been comped a couple of dishes (Jen’s husband is a chef, and as a result she’s treated like restaurant royalty pretty much wherever she goes), but you can eat (and drink) extremely well here for around £30 a head. 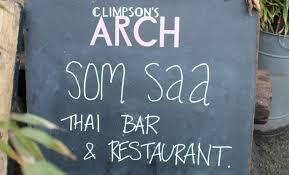 Som Saa is at Climpson’s Arch, 374 Helmsley Place, E8.